Information and Media Literacy(IML) and its role in education today. A common definition of technology includes the phrase, “anything that was invented after you were born.” Computers, tablets, internet, Web2.0 existed before most of our students were born. It is not technology to them, it is woven into their culture. Information and Media Literacy is a shift away from teaching Information Technology(IT) or Information and Communication Technology(ICT); Changing the terminology allows for a paradigm shift as well. IML moves the paradigm to learning and the learner and away from the technology. Information Literacy and Media Literacy have traditionally been dissociated terms. Prior to the 1990s, the primary focus of Information Literacy has been research skills. In parallel, the Media Literacy traditionally focuses on analyzing the delivery of information. In this context, the two terms now need to mashup. The IML capacities developed by the Surrey School District in 2005 provide an integrated learning path that can continue to grow, rather than to acquire a scope and sequence set of skills. Our collective goal is to address instructional aspects as classroom teachers are supported to build their Information and Media Literacy for personal and professional needs through encouragement, motivation, access to resources (or repurposing resources) and support of the classroom teacher. We need to overcome barriers to learning. Being Information and Media Literate allows one to engage in a today’s society and adapt to tomorrow’s society. While using technology is one of the seven capacities, it is only one small part that enables further learning opportunities. Placing the focus on learning and learner encourages transformative thinking, rather than using a slightly better tool that is now available to do the same tasks. While IML is very similar to the ISTE NETs that were refreshed in 2006, they are slightly different, created internally to meet our specific needs. 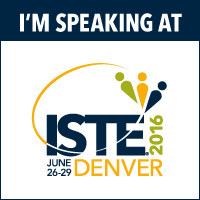 You may want to take the IML capacities or the ISTE Nets as your framework, but make sure to customize to your needs. 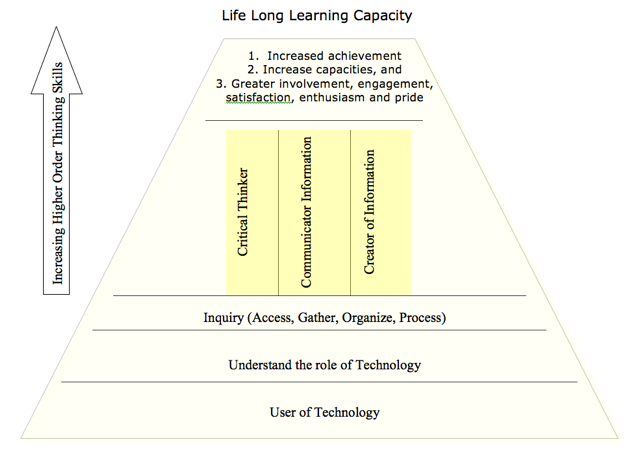 The capacities key concepts are also linked to a continuum that is not prescriptive, but suggestive of a progression. (A tool I have used with teachers for awareness of IML and their capacities is the IML Key Concepts activity. IML was designed to provide a framework to understand learners and learning for today and the future. It is a model, not a prescription. There are various paths along the continuum. A special thank you to all contributors those involved in the development of the IML concept as preparing the supporting documentation including: Alasdair MacKinnon, Kevin Amboe, Susan Chow, Katherine Hayes, Orwell Kowalyshyn, Julia Poole, Ken White, Dorota Peacock and Donna Wong.